This was a blast from my past. 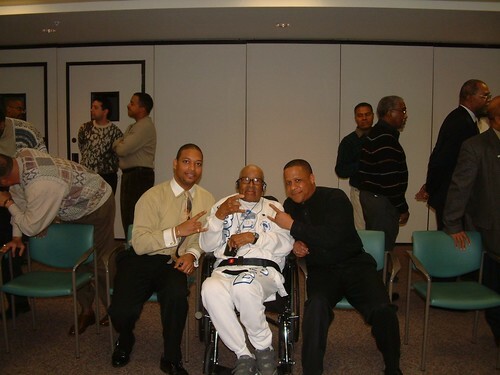 Me, my LB Sam and the co-author of the SIGMA LIGHT, Bro. Francis L. Hall. You know what’s so interesting about this picture, Bro. Hall left me the sweatsuit that he is wearing, I have it in my history collection. I will be presenting at the Bahamas State Meeting this weekend and one of the Bahama Brothers sent this to me.